I need a spa day. I bet you do, too. And your friend or sister? Yep, she does, too. But, we all know that spa days are difficult to acquire sometimes. 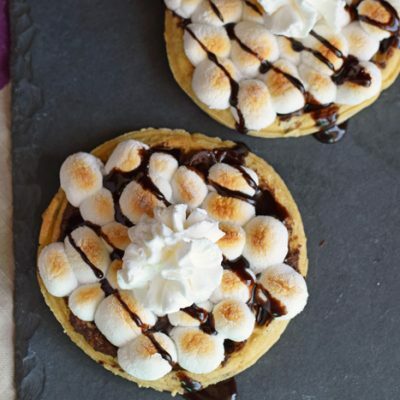 Between work, kids, and other commitments, a spa day can seem out of reach. Give yourself or someone you love the gift of a spa day at home with a Spa Gift Basket this holiday season. 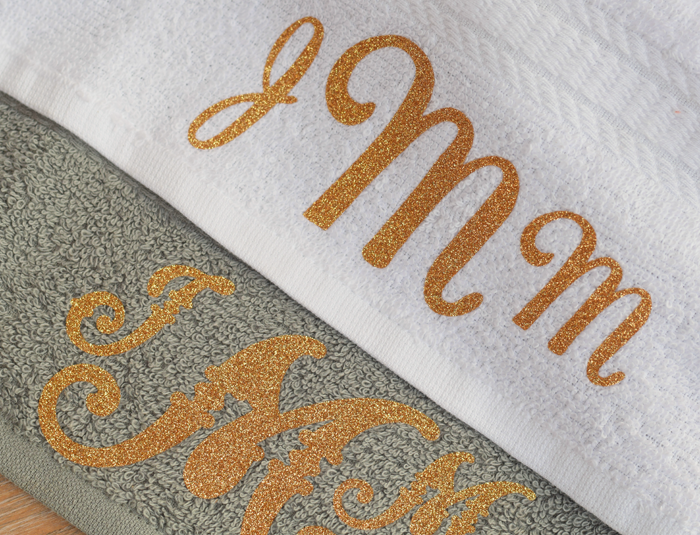 And, if you’re feeling crafty, add a personalized touch with these DIY Monogram Towels. 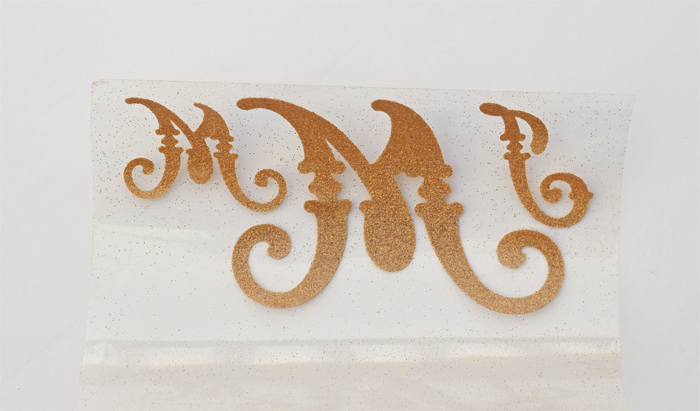 Measure the space where the monogram will go. 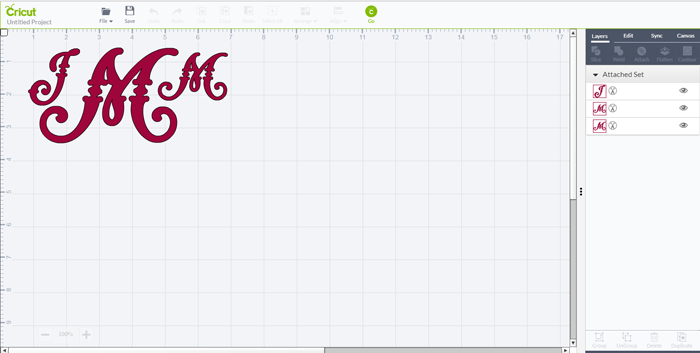 Using this measurement, create the monogram in the design software for your cutting machine. 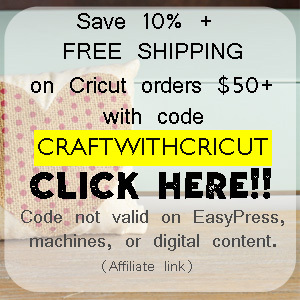 I’m using Cricut Design Space. Cut the design on the vinyl. Be sure to mirror your image before cutting! “Weed” the vinyl, which is a fancy term for removing the vinyl that doesn’t belong. 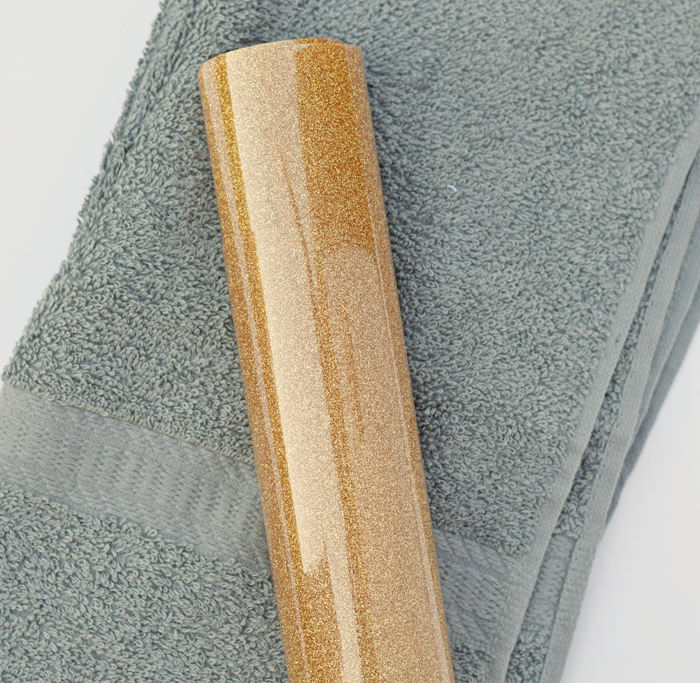 Apply the vinyl to the towel. Place the thin cotton over the monogram. Iron, pressing the iron for several minutes per area. Press firmly in each section. Remove the liner when finished to reveal the final design! These towels make a nice house warming gift or an addition to a spa gift basket. What else can you add to a Spa Gift Basket? How about a variety of nail polish? Or an Amope® Pedi Perfect™ Extra Coarse Electronic Foot File in pink? Why not a Amope® Pedi Perfect™ Electronic Nail File? Lotions, Brown Sugar Scrub, pumice stones, soaps, brushes, loofahs, nail polish remover, chocolate, and sparkling cider also make great spa gift basket additions! The Amope® Pedi Perfect(TM) Electric Foot & Nail File are both available at all Target stores in the beauty section. I found mine on a special end cap. 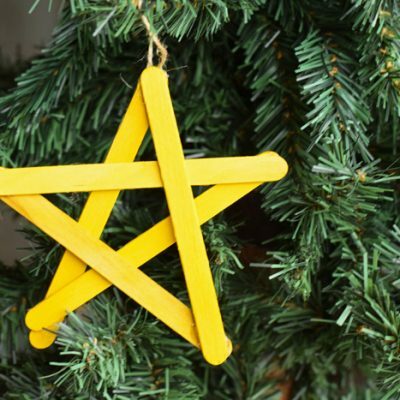 Through the end of the year, get 10% off Amope® products at Target with the Cartwheel app. 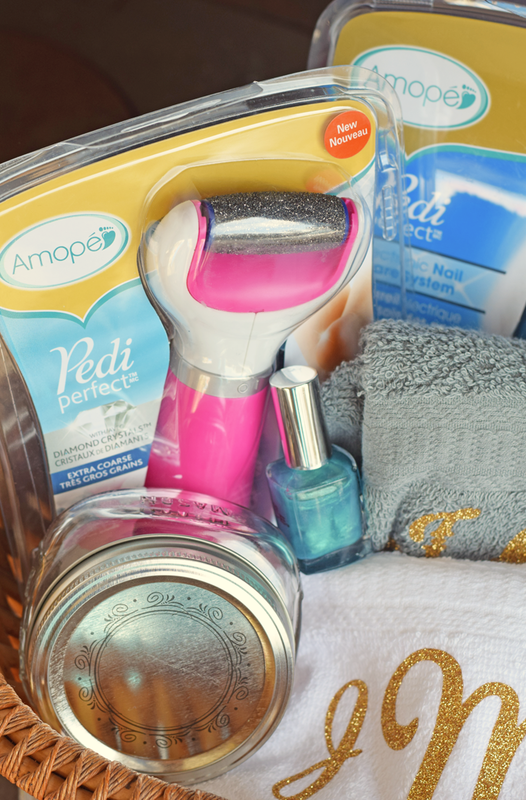 Get more spa gift basket ideas here! How fun is this! I’d love to receive a basket like this! I might have to give doing some monograms on towels too as gifts. Thanks so much for sharing! These towels are great! 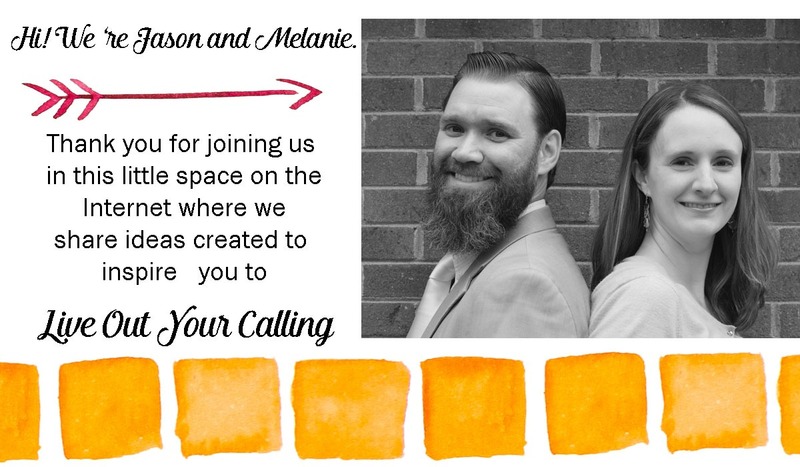 What a fun personalized gift to give. I’d love to get a basket like this as well. Who wouldn’t love to receive a spa gift basket?! And those monogrammed towels! 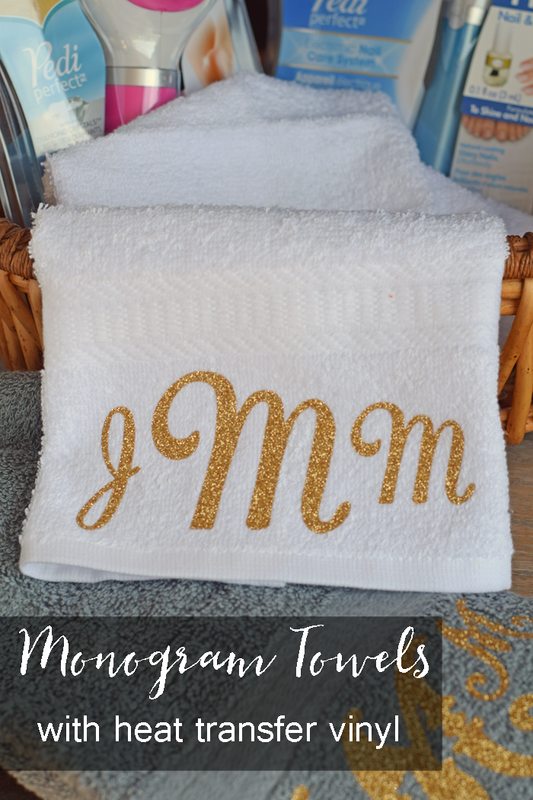 I love using HTV and what a fun idea to do monogram towels with it! This is such a great idea! 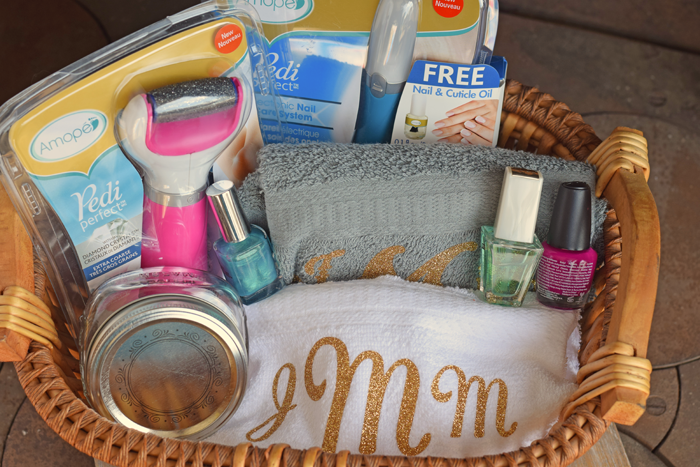 I really like the idea of monogrammed towels, and with a fun gift basket like this, it would be a great holiday gift! I’ve been planning to go to the spa since the summer! But life gets in the way. Boo. This is a lovely gift. I would love to receive a basket with these goodies! 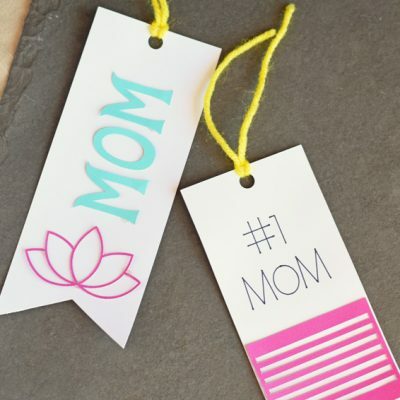 Personalized gifts are so fun to make and give. I might have to make a set of towels and pampering goodies for myself! That sparkly gold vinyl is gorgeous! I love how these turned out! These towels are so cute! Who knew that it could possibly be that easy to make a monogrammed towel. That monogram is gorgeous! What an awesome gift basket you’ve put together! Great gift basket idea! 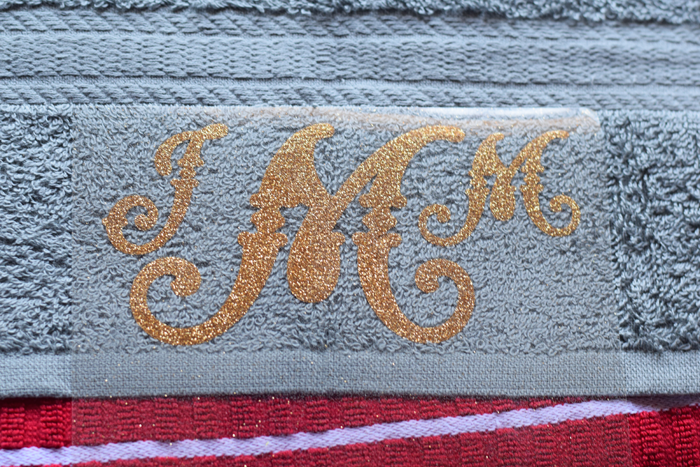 I love the monogram towels they look amazing! I love my Amope and use it every week! I need to make the monogrammed towels for someone; what a great idea! What did you mean by thin cotten?What is that? Hi, I just use a piece of cotton material from my sewing scrap stash. I just mean do not use a thick cotton towel or something similar. The goal is to protect the heat transfer liner and vinyl from melting from the heat of the iron, but do not use a material so thick that the heat does not adequately activate the heat transfer vinyl so that it can adhere to the shirt (or whatever you are making). I love this! 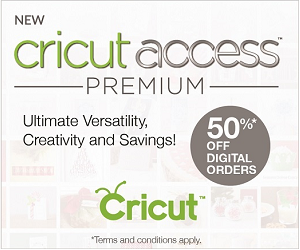 So much cheaper than embroidery…besides, what college girl doesn’t love anything monogrammed??? !